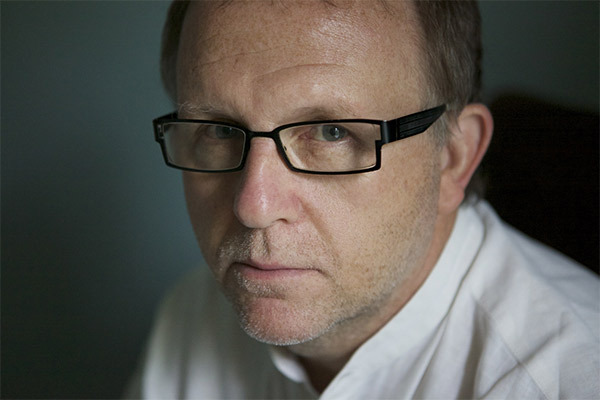 Major Accolades: Thomas Raddall Atlantic Fiction Prize, 1998; Canadian Authors Association Award for Fiction, 1999; shortlisted for Giller Prize and Governor-General’s Award for Fiction, 1998; Canada Reads selection, 2003. Newfoundland and Labrador is an interesting the province – the last to join Confederation, one of the most distinct cultures in English Canada, and one of the most remote provinces in Canada. 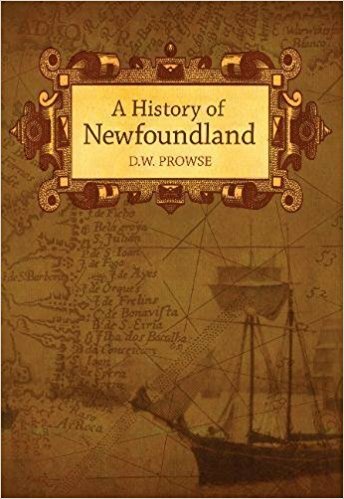 I have family connections to the province; my grandfather was born in the early 1920s and as such was a member of that last generation of Newfoundlanders that experienced life in both an independent and confederated Newfoundland. I remember as a youngster him showing me his Newfoundland memorabilia: coins and bills from the Dominion, postage stamps, and the medals he received for serving in the Newfoundland company of the Empire forces during World War II. Even though he moved to Nova Scotia in the late ‘40s and married a New Brunswick francophone in the early ‘50s, many of the old traditions of rural pre-WWII Newfoundland survived in his home until his death in 2007. Even though it is one of the few provinces I have never visited, I have a great affinity for Newfoundland. 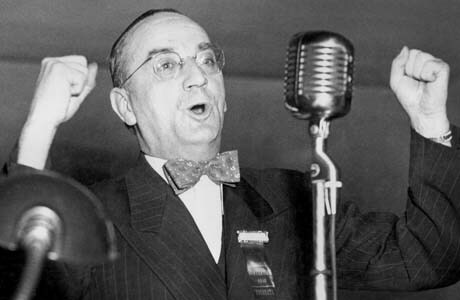 Joey Smallwood is a name that is synonymous with Newfoundland. He dubbed himself the “Last Father of Confederation” and once elected premier he ruled with an authoritarian streak that would make Donald Trump proud for over two decades. Whatever one may think of Smallwood, is it indisputable that you cannot understand that period of the province’s history without understanding him. 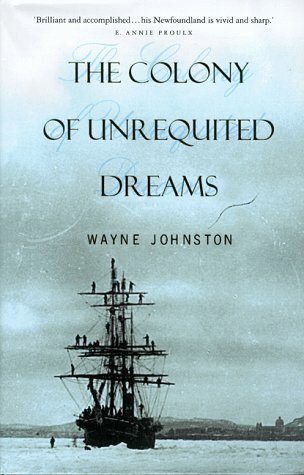 With that in mind, you must give kudos to Wayne Johnston and the guts it must have taken to even contemplate the idea of writing a sweeping epic with Joey Smallwood as the main character (and narrated from his first-person point-of-view nonetheless). 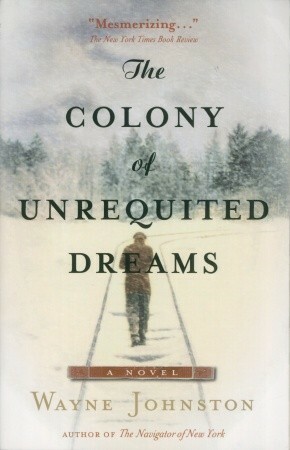 Epic in its proportions, The Colony of Unrequited Dreams is one of the most satisfying books I have read in a while. It combines politics, romance, elements of the bildungsroman, and as much Newfoundland culture as you can handle. 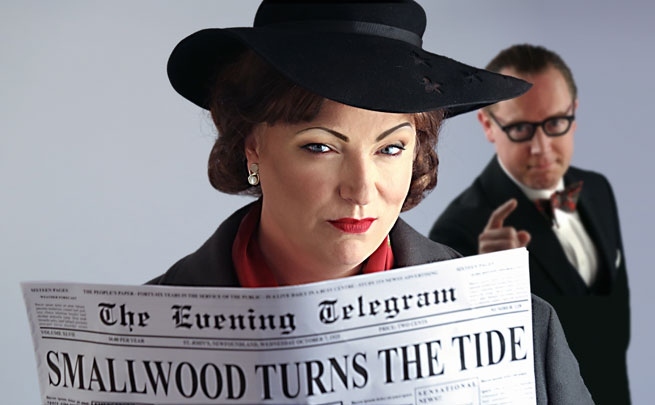 The character of Smallwood and his true-love/archenemy Sheilagh Fielding are about as well developed as characters can be in a work of fiction, and that is the true power of this book. As a reader, you spend decades with Smallwood and Fielding – you mourn their failures and celebrate their triumphs. Equally as impressive as Johnston’s character development is his ability to shift narrative point-of-view and exposition style. At regular points throughout the book, Smallwood’s narration is injected with snippets of book chapters, journal entries, and newspaper columns written by Fielding. 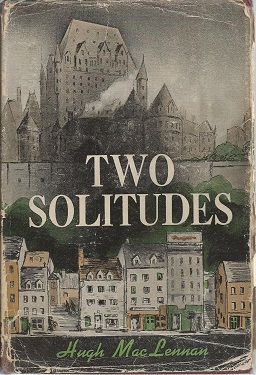 Johnston managed to create a very distinctive first-person viewpoint in these pieces and they serve a fantastic contrasting or context setting device. 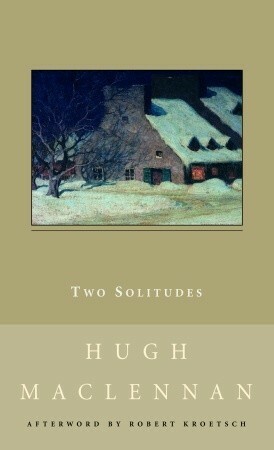 This novel was featured on Canada Reads in 2003. 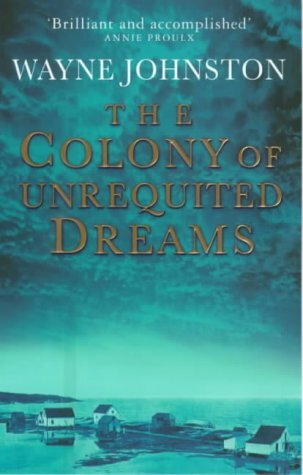 It was defended by Justin Trudeau, long before he got into politics; Trudeau ended voting against Colony in the final round to crown Next Episode as the winner and to this day he remains the only panelist in the 15 years of the competition to vote against his or her own book. One of the primary criticisms of the novel on that show, as well as on some other amateur reviews I’ve read, is that from a biographical standpoint, Johnston takes some severe liberties with Smallwood’s story. 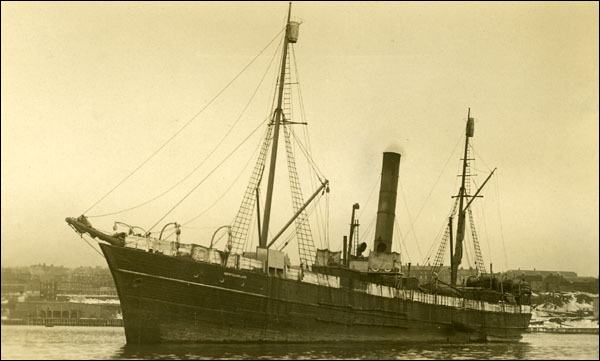 It is true, he does – for instance, Smallwood was not on the SS Newfoundland during the infamous sealing disaster and, from a larger perspective, Fielding was not a real person. My response is… who cares? 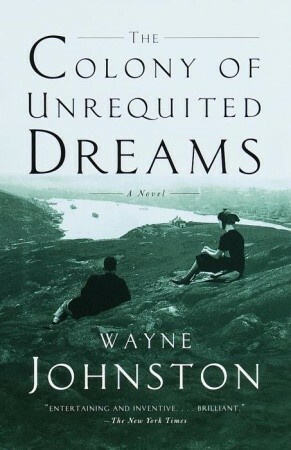 I would refer anyone who criticizes the book on this basis to the second paragraph above: “Joey Smallwood is a name that is synonymous with Newfoundland.” While the central character of The Colony of Unrequited Dreams is Joey Smallwood, I read this book as the story of Newfoundland during the formative years of 1900-1949 first, and as a story of Joey Smallwood second. 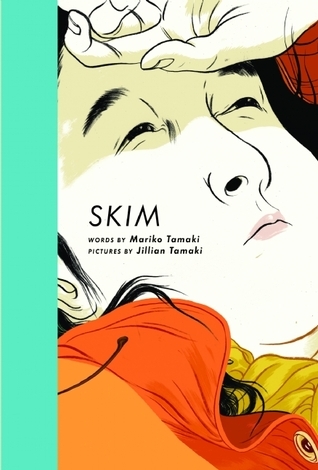 This is a long and engrossing book that should be read slow. It needs to be savored and chewed on slowly or else you risk just pounding through the magic (although I feel this is the case with all books and am a subscriber to the school of slow reading). 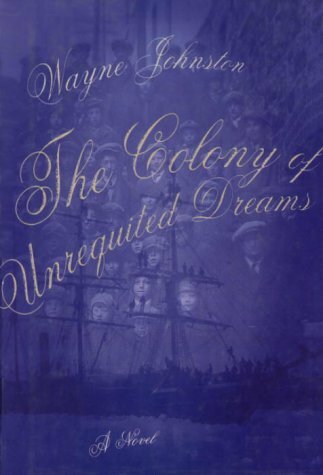 The Colony of Unrequited Dreams has aged very well in the twenty years since it was published. When I first started this blog in June 2010 I had modest intentions. 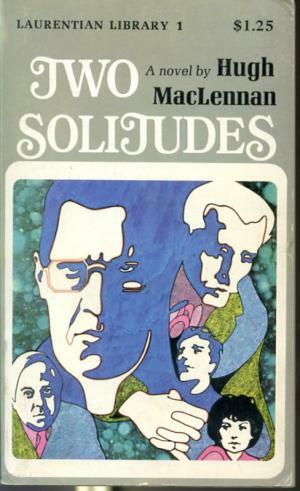 My primary goal was to simply have a creative outlet to lay down some thoughts on the Canadian literature I was consuming as I had no one in my immediate social circle that had the same taste in books as I did. The site grew steadily and after just a few months I had a solid library of posts. In early 2011, I started getting emails from publishers, including well known Canadian publishers like Brick Books and Goose Lane; I was also having regular conversations with writers directly via Twitter. These editors and writers were actually asking me to review their novels, story collections and books of poetry. I was even getting unsolicited books in the mail from some of these publishers. I was once quoted on Canada Reads to start a discussion and I was interviewed by The Toronto Star about the death of a well known book reviewer. Once the novelty of all this wore off, I found the whole idea burdensome and took a break from posting. In the ensuing years, I would sporadically return with a few reviews or articles and then disappear again for months at a time. I could never put my finger on it but I would always quickly lose my passion for managing this blog. Then in 2015, shortly after my son’s second birthday and a career move, I unceremoniously gave up on the blog and left it in limbo. In mid-2017 my family moved to a new house; after unpacking and getting comfortable in a new position I recently took, I got back into the habit of nightly reading and I started thinking about this site more and more. I started to wonder why I kept taking regular breaks from posting… why do I keep starting up again… should I give this site to someone new who is more engaged…. 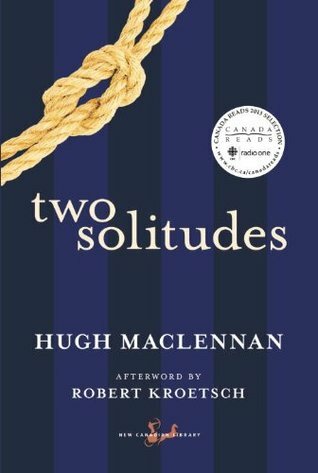 I came back to the question of “why did I start this blog up in the first place?” Looking back at my 27-year-old self in mid-2010, I would say my main goal was to talk about Canadian books. Full stop. In exploring my thoughts on a particular book I could take so many angles – characters, writing, plot, themes, humour, social relevance, historical relevance. I could go full on academic and put that English degree to work – apply a critical lens such as a Marxist reading, analyze the work using Foucault’s ideas of panopticism, venture down the road of new-historicism and explore the sociological context of the piece. The pattern I fell into, especially once publishers and writers took notice of my blog, was treating my posts more like critical reviews than anything else. Throughout my formal education in literature (a BA with an English major and half of a Master’s degree), I approached literature in a starkly different way from a lot of my peers. My overarching view of literature (and all acts of cultural creation) is that every work is the intersection of history, geography and psychology. With the guidance of a few of my favorite professors in my younger days, I also came to understand that each time we read something, we re-evaluate each of those intersections on multiple levels because of our own contemporary contextual biases. This is how I approach everything I read and ultimately, I feel this is how I need to approach my writing about books. One thing is clear, I am not a book critic. Most book bloggers aren’t critics yet they pretend to be (perhaps they are addicted to the free review copies). I pulled away from playing the critic a little bit once I stopped taking review copies from publishers and authors, but I still struggled to find my voice in my posts. After thinking about this lately, I feel ready to revive The Canadian Book Review with a fresh new perspective and approach. I am not interested in doing critical reviews of books. 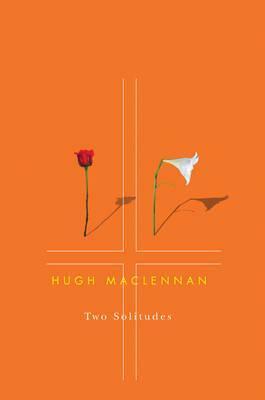 I am interested in talking about books – what spoke to me, what did I like to not like, how this relates to contemporary life, some historical tidbits of the book or author I find interesting – all within my particular window of how I see literature. So with that, I am happy to say that The Canadian Book Review is back in business. I hope this new iteration of my blog does not disappoint.